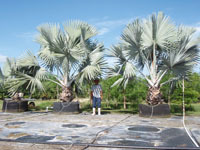 Bismarkia 7 gallon to finished 200 gallon--with no step-up--in 3.5 years! 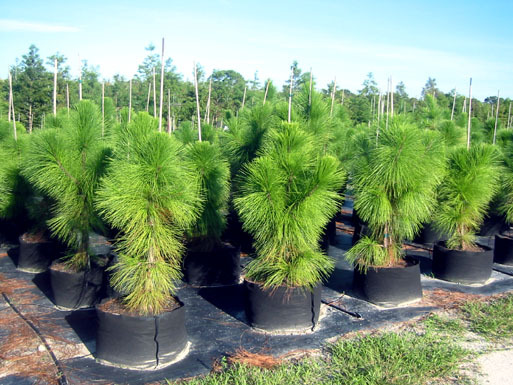 3-gallon Phoenix sylvestris planted in 200-gallon JackPots, skipping many step-ups! 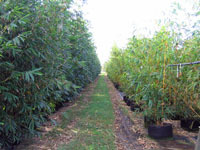 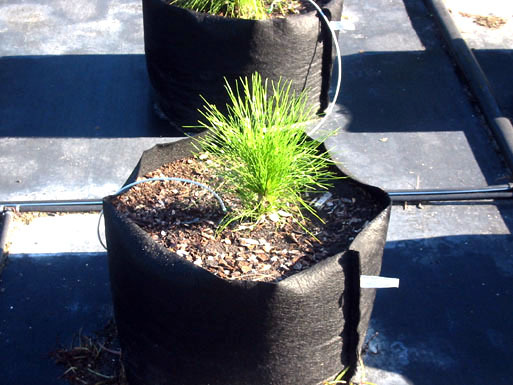 Row of 3-gallon phoenix sylvestris planted in 200-gallon JackPots -- "field growing in container." 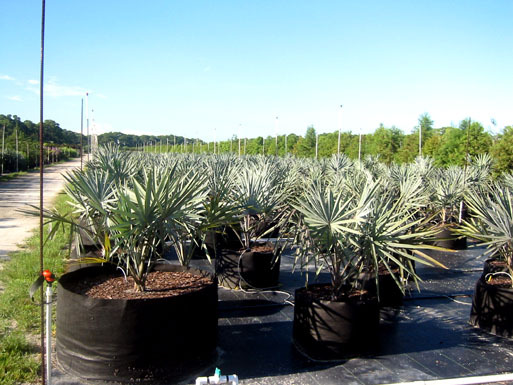 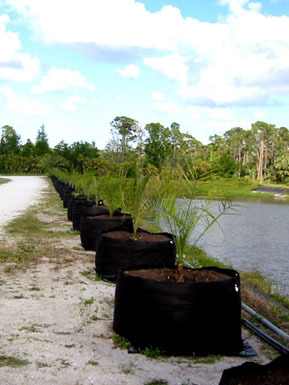 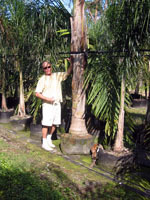 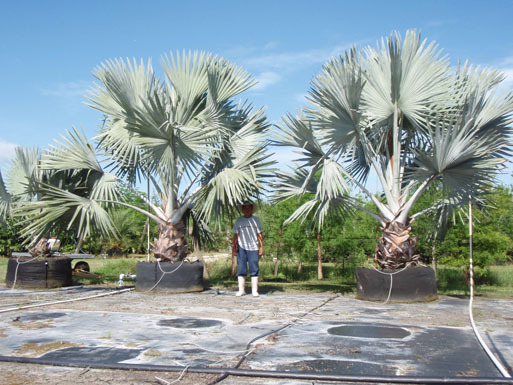 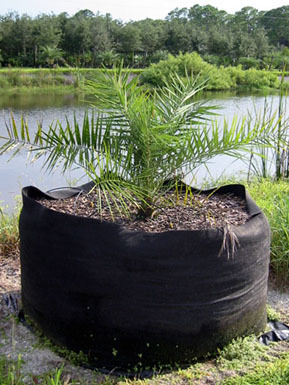 7-gallon Bismarkia nobilis planted directly into 45- and 200-gallon JackPots; no further step-up necessary.